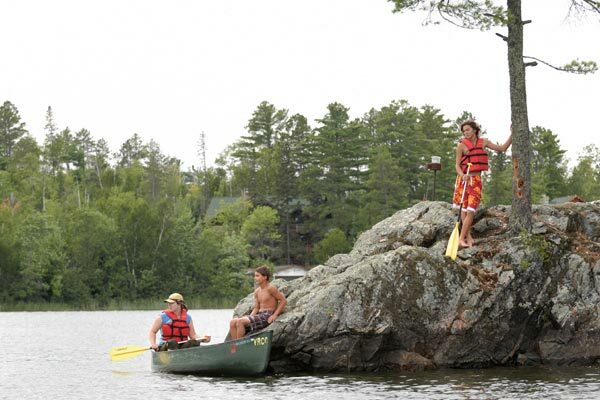 A 60-acre gem located in Lake Vermilion's Wolf Bay, Wolf Island is a place of legend and lore, with historical ties to both Native Americans and Voyageurs. Located in Lake Vermilion's Wolf Bay, the island’s rich history is well-documented by John Jaeger, a prominent Minneapolis architect who homesteaded the island after first visiting in 1906 and created maps showing sites of Native American burial mounds and points of historical interest. Wolf Island’s beauty and proximity to the Boundary Waters Canoe Area also made the property attractive to development. In 2007, The Trust for Public Land responded to requests from the Forest Service and the landowners to acquire this critical property before the opportunity for public ownership was lost. In the summer of 2013, we transferred Wolf Island to the US Forest Service as an addition to the Superior National Forest.